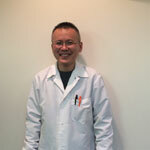 Dr. Chung-Ming Chang-Chien graduated from New York University’s College of Dentistry in 1993. Dr. Chang-Chien holds a certificate in Advanced Training in Prosthodontics from NYU and has also been granted a fellow of the California Implant Institute. Before the opening of Lang’s Dental Center, Dr. Chang-Chien worked for many years as an associate general dentist in Boston. He is very experienced in oral surgery, prosthodontics, and cosmetic dentistry. Dr. Chang-Chien’s patience and kindness have endeared him to many patients. A New York University College of Dentistry alumni, Dr. Tony Lang graduated with honors in clinical skill in 1998. An active member in student affairs, he was a recipient of the President Service Award at New York University in 1997. Dr. Lang holds a certificate in Advanced Training in Orthodontics and previously served as a teaching fellow in the Department of Orthodontics at New York University College of Dentistry. Dr. Lang completed his GPR training at the Our Lady of Mercy hospital and then worked for several years as an associated dentist in the Boston area. He opened Lang’s Dental Center at Nashua in 2003. Dr. Lang is passionate in his work; he is patient, caring, and willing to help people achieve the best oral health as possible. Dr. Lang is both a member of the American Academy of General Dentistry and the International Association of Implant Dentistry. Dr. Yuan Chen Lang graduated in 1993 from New York University’s College of Dentistry, a participant in the school’s clinical honor program. She completed her GPR training at the Montefiore Medical Center in New York City. After working for several years as associate general dentist, Dr. Lang opened a practice in Somerville, MA together with her husband and brother. Dr. Lang cares deeply for the health of her patients and she strives to satisfy their needs. Dr. Lang is fluent in English, Portuguese and Chinese, enabling her to provide better communication and treatment to a wider range of patients.